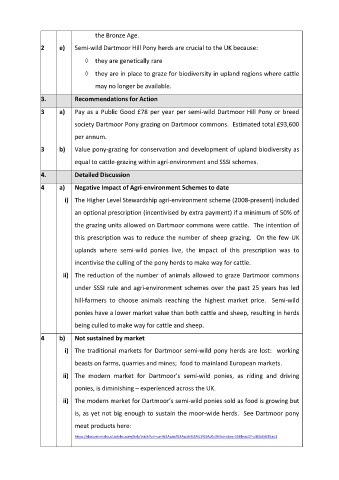 equal to cattle-grazing within agri-environment and SSSI schemes. incentivise the culling of the pony herds to make way for cattle. being culled to make way for cattle and sheep. beasts on farms, quarries and mines;  food to mainland European markets. ponies, is diminishing – experienced across the UK.